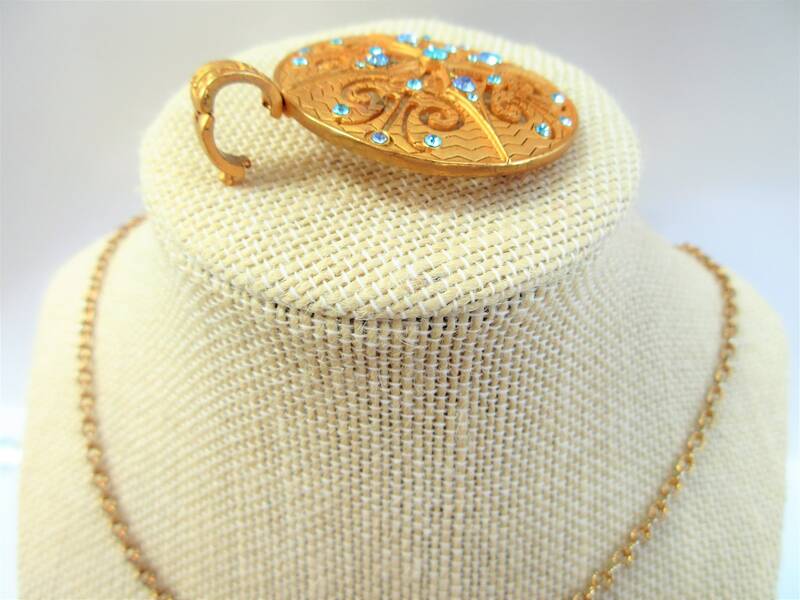 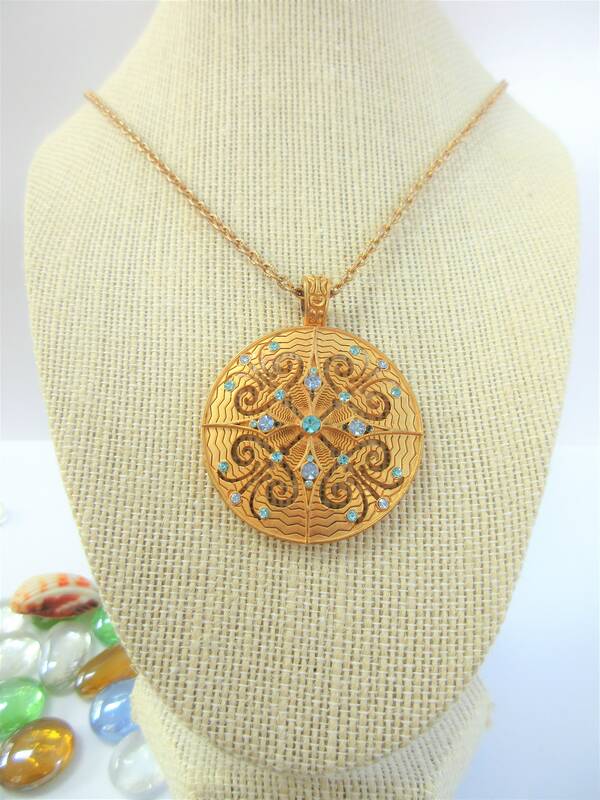 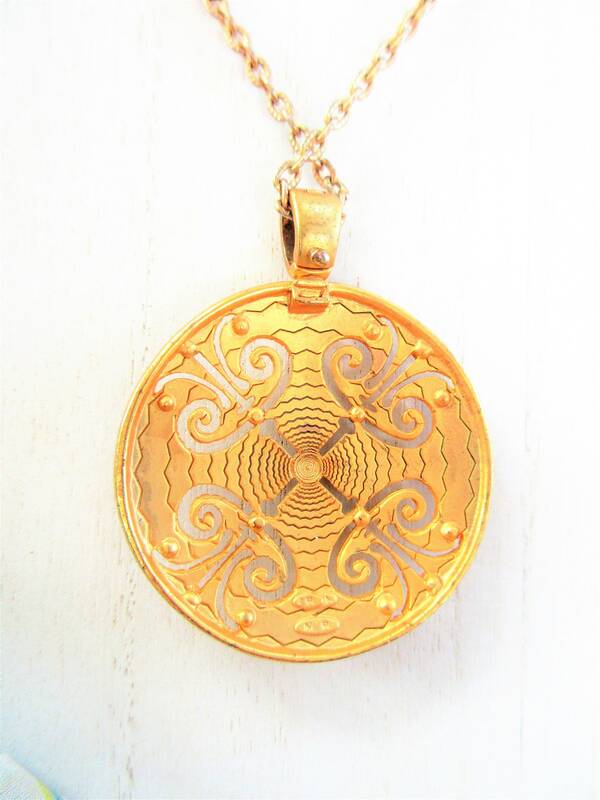 Vintage chain with Vintage 2 inch circle enhancer pendant with aqua crystals set into carved and laser cut gold metal. 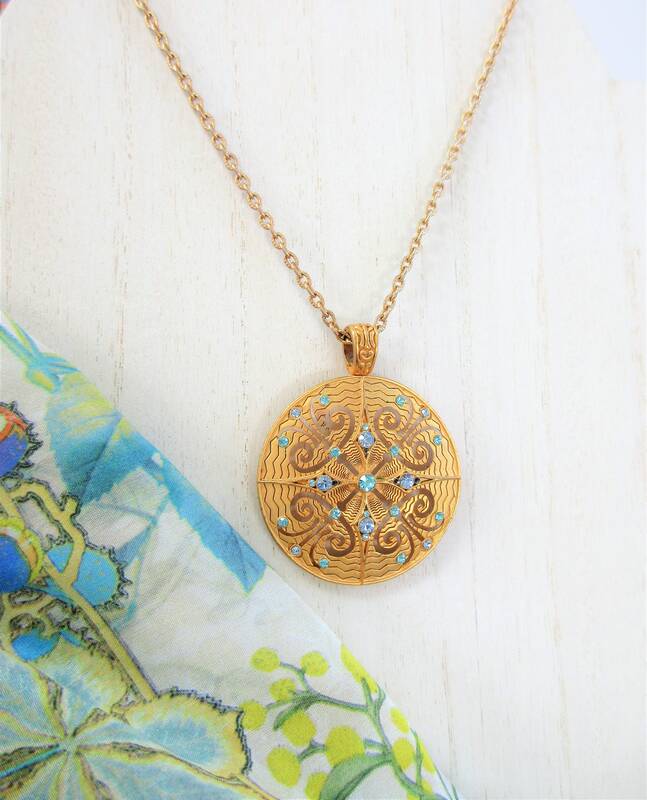 Vintage Avon pendant enhancer, as pretty as the day it was made. 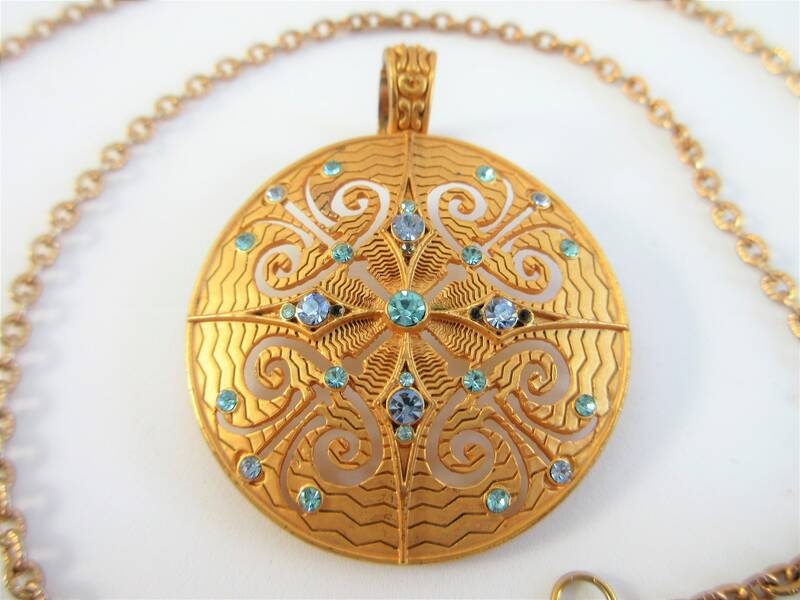 Pendant etched, carved and set with remarkable aqua crystals. 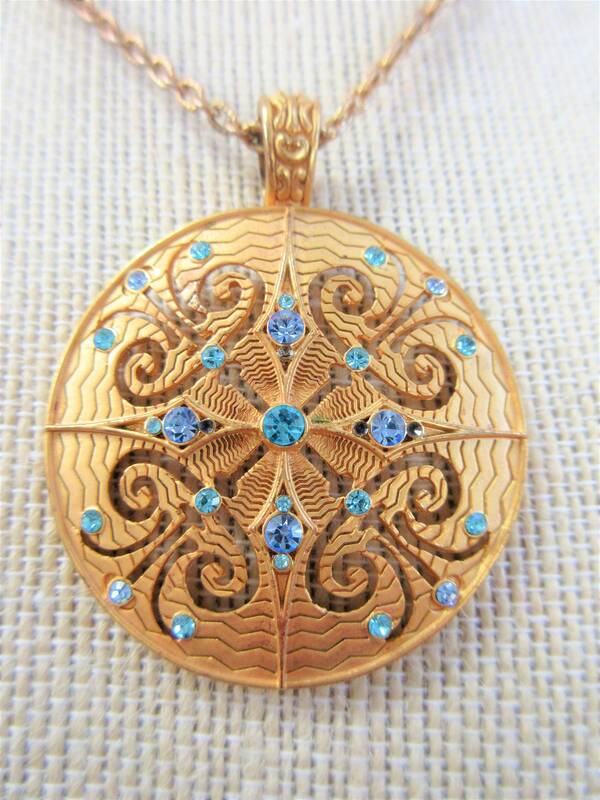 4 tiniest stones missing of the total 34, unnoticeable though. 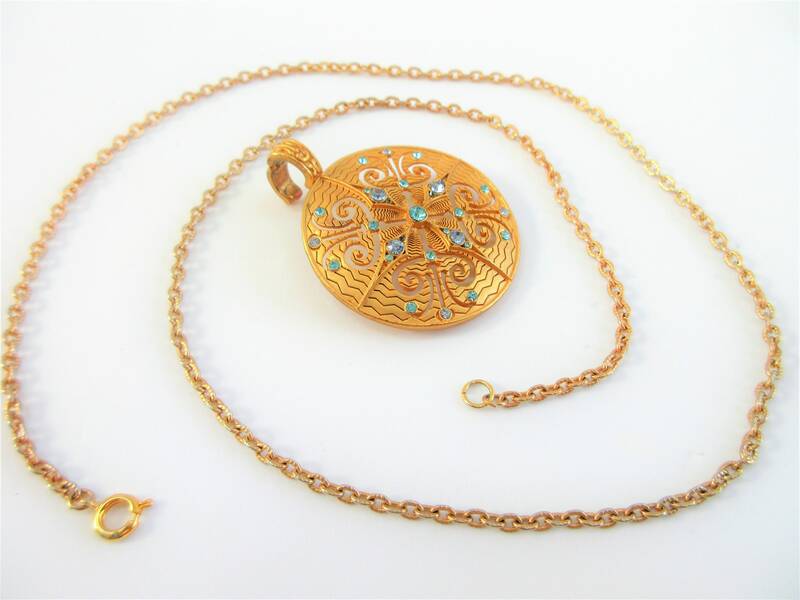 Wonderful matching chain, use pieces together or with other jewelry, so versatile.